Over the last few years Poland seems to have come out of the cold and entered into the World Music market with some vigour. At the globe’s leading world music trade fair, Womex, last year, Polish artists were well represented by agencies and musicians. This is a round up of some of the CDs, DVDs and samplers that I picked up or have been sent to me. "If this is the new face of Poland, then I want to kiss it." This a confident album full of beguiling, quirky tunes from these three young Poles/Ukrainians, mixing a seeming endless amount of genres and influences into wonderfully accessible music. It’s almost pop music sometimes, at others art house, with warps and wefts spun from jazz, tango, hip-hop, film noir, funk, samba, traditional musics, classical . . . If this is the new face of Poland, then I want to kiss it. Sadly I can’t understand any of the sleeve notes (apart from the only lines in English: “Friendship can cross borders and overcome obstacles. Poland Ukraine. Love and music. Dreams do come true!”), but there’s lots of lovely pictures of children’s toys like plastic dinosaurs, a wind-up crocodile, a wooden tortoise, a child’s windmill and Thunderbirds dolls to go with the sight of Daga, Dana and Miko rolling about on the floor hitting each other with a plastic mallet and having a lot of fun! And that shines through the music. Very enjoyable album. Dark rock/metal stuff. Why, oh why do agents persist in sending us stuff that is not relevant? Just because you live in the world and record music, doesn’t necessarily make it ‘world music’. And please don’t engage me in the old world music definition debate. Just accept it. Send this to Kerrang instead. 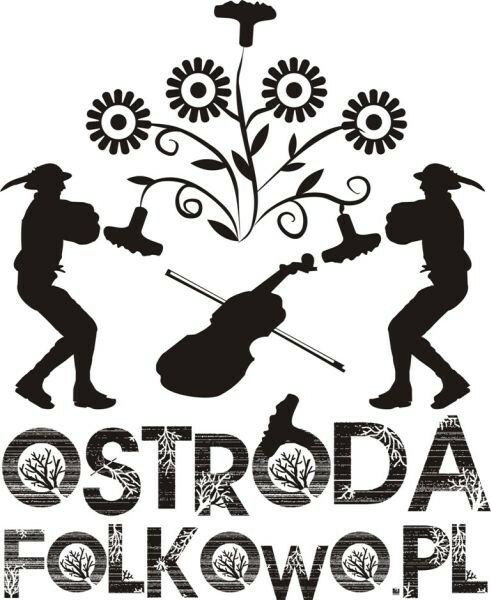 Folkoperacja are a 6-piece band (drums, bass, guitar, vocals, accordion, flute, violin) from Slaskie in Poland. This is a 7 song sampler as they’re are still working on their album. Overall it sounds like 1980s folk-rock - nothing wrong with that (anyone remember South Yorkshire’s “Oscar The Frog”?). Some tunes are very much in an old school rock vein, others with a more middle-european folk feel and some a mixture of both with ska and reggae undertones. Competently enough played, quite enjoyable, probably a good pub band and be fun for festivals. I’m slightly confused as to whether they are in fact the same band as “Bartnitzky” - the musicians all look the same and have the same name, have the same management. I’ll put a link to them as well anyway. So far, so good. But then I realise I have been given a second CD by Folkoperacja. The omens aren’t good: it’s a Christmas CD. Against a background of computer generated snowflakes our six heroes come wading through a waist-high computer-generated snowfall in black shades, white shirts, black ties and black leather jackets. Smiling. It’s not a good look. Like a 90s boy band with a dodgy manager. The guy on the left looks like they’ve brought their old science teacher along for the photoshoot. Hmmm. The CD titles translate as: “Festive Folkoperacja. Carols and Pastorals. Highlander Folk Screen”. No I don’t know either (good old Google Translate!). But fair enough, some traditional Polish Folk Carols for Christmas. Let’s give it a whirl. Oh dear. Oh, deary, deary me! I’m guessing they are supposed to be traditional carols and songs and I can hear a penny-whistle somewhere, but it’s all set against a background of cheesy rock, funk-lite, electro, pseudo hip-hop, africanesque guitars, and quasi-Chris Rea mood music . . . Oh dear. Don’t get me wrong, I am not at all a ‘purist’. I’m all for mixing it up and seeing what happens. But, sometimes ‘this’ happens. And it’s not good. Maybe you have to be Polish to know the tunes, understand the history and culture and to appreciate the lyrics in their new ‘world’ settings. But it’s not for me. Hold on a moment. I’ve worked it out. I get it now! Have you ever been to a family do at Christmas and someone gets out one of those mass-produced, Tesco checkout CDs of ‘Brendan O’Somebodyorother’s Irish Christmas’ and sticks it on to get everybody ‘in the mood’ - a few standards, a few singalongs, some dreary laments . . . Well, it’s like that. But Polish. No, I’ve never been to a family do like that either, but I’ve seen it on the telly. Honestly, it’s bargain bin music. Go to any charity shop in the UK and you will see racks of cassettes of this type of stuff, usually next to the cardboard box full of old vinyl - you know Classical records, 1970s TOTP compilations and Val Doonican. Maybe Folkoperacja make a killing recording and selling this type of stuff in Poland - maybe it even supports their ‘real’ music, who knows. But, please, I’m begging you: don’t bring it to Womex with you next year! "a beautiful album: deftly arranged, inspiringly performed"
Mosaic fuse traditional Polish songs with oriental instruments, creating “a remarkable marriage of Slavic wilderness and melancholy, oriental mystery, sounds of nature, urban chaos, the old world order and contemporary eclecticism”. On this album, “Ludo Va Va” (which translates as ‘folk-ish’), the five musicians play a bewildering combination of medieval fiddles, swedish and galician bagpipes, dulcimer, oud, mandola, flutes, ney, recorders, duduk, tampura, udu, darbuka, tombak, foot bass, frame drums and hurdy gurdy as well as wonderful vocals. It really is a beautiful album; well thought out, deftly arranged, inspiringly performed. Very much recommended. "And what a strange offering this is." This is a five track, home-burnt CD (recorded at a concert in Wagrowiec in July 2010) with no liner notes, apart from a sentence which says: “music based on the traditional melodies from Wielkopolska region”. And what a strange offering this is. The first track “Lilija” seems to be a traditional melody formed from multilayering bagpipes and some form of zither/dulcimer/harp (I think! ), with a saxophone played in an almost Caribbean jazz style, very muted drums and a bass guitar that sounds like it’s been recorded with an old towel stuffed into the speaker, and quite possibly some other instruments. Not what I expected, but quite jolly nonetheless. And to finish: “Swieci Miesiunc” (Holy Month). What’s this? Country Blues harmonica, dodgy vocals, some shuffling badly recorded slightly out of time drums and that strange bass guitar played inside a sock draw; oh, and now a not so cool vibraphone solo. Guys, honestly, you should have stopped at Track 4. I was ready to condone the idiosyncracies up to that point. What an anticlimax. Still, some nice bits beforehand. 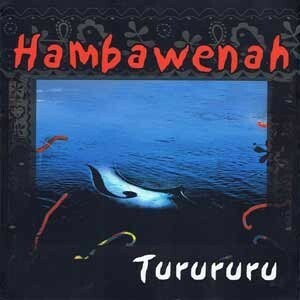 Hambawenah are a much more traditionally orientated folk band. They’ve been around since 1996 and have long concentrated on the work songs and recreational music of the Polish bargemen who use their rafts to transport timber and other goods up and down the River Vistula. Researching this lifestyle through oral traditions, ethnographic sources and archives, they have invested much work in trying to preserve the original melodies, dialects and characteristic jargon of the bargees. Although they do use bass, electric guitar and drumkit alongside the violins and accordion, and you can hear elements of jazz and rock sensibilities, it is done sympathetically and to make the music “more attractive to contemporary listeners, yet not depriving it of its folk character”. The root part of their name (hamba) translates as ‘journey’. The musicians obviously feel a great affinity to this folk culture and to their specific chosen field and this comes across on the album which has all the pride and assurance of the current generation of Welsh and Scottish folk bands. “Turururu” sweeps you along with the band as they travel along the Vistula of their music. "a sort of Polish Piazzolla"
Esus is a four piece ensemble that grew out of the Polish Chamber Orchestra AUKSO in 2007 (and not to be confused with Esus the French ‘Black Metal’ band!). They mix classical music with jazz, having replaced the standard cello with a double bass and included percussion and electric instruments alongside the two violins as well. Esus reminded me of a sort of Polish Piazzolla both in terms of the use of chamber instruments and the rich array of musical influences incorporated - luckily none of it feels forced. I must admit though, the first track, “Wirus” (Virus) I found a bit impenetrable at times, although there are plenty of opportunities to play ‘spot the quote’ as the track rushes around from one musical thought to another - it’s jazz, baby, just not as you expect it. “Riffballabiff” after a dark start turns into a cheerful, snappy swing piece to get your toes tapping. I think track 3, “Przebudzinie” (Awakening), is my favourite piece - electric guitar joins them with shades of Phil Lynott and Gary Moore’s “Parisienne Walkways” over tango and bossa rhythms - very enjoyable indeed. To finish off “Dla Zoneczki” (For My Wife) is gentle, wistful and pretty. I had to listen to this sampler a couple of times before I tuned in to what they were about, but it was worth it. "a real labour of love and beautifully executed ... a marvellous album"
Now, here’s an idea! Take one world famous Polish composer steeped in the folk/classical oeuvre of the Mazovia region and perform his music on the traditional instruments - and in the styles - of some of the richest musical cultures to be found around the globe. This is a real labour of love by multi-instrumentalist, vocalist and composer Maria Pomianowska and beautifully executed. Classical music is definitely not my strong point and Chopin to me was always just another ‘old dead white man’; but . . . this just brings it alive. I was able to come to terms with the compositions because the unusual instrumentation forces you from the familiar settings you expect to hear these pieces in and gives you a fresh set of ears to hear through. A marvellous album - and I say this as a complete outsider to Chopin. Imagine Chopin’s Prelude “Raindrop” (Op 28, No 5) against an African backing of balaphone, djembe, kora, ngoni, beat-box vocals and children’s choir, or the Etude “Chanson de L’Adieu” (Op 10, No 3) sung in Chinese (don’t ask me which dialect!) against the bowed er-hu, gongs, dulcimer, harps and dizi (transverse flute), or even the Krakowiak Rondo (Op 14) performed with the Siberian input of Jews’ Harp, and Khoomei (Tuvan throat singing). And yet, it works! The album places the Largo from Fantasie Impromptu in India, the Waltz (Op 64, No 2) in Andalucia, the Nocturne (Op 9, No 2) in Brazil and even gets on the steamer all the way to New Orleans for the “Minute Waltz”; Persia, Japan, Arabia, Bulgaria, Armenia and the Balkans all get visited by Chopin until we arrive back home in Poland with the song “A Young Girl’s Wish (Op 74, No 1). "The performances are exemplary and the instruments fascinating"
Pomianowska isn’t purist either in the selection of instruments for each track since, for instance, the Australian didgeridoo appears on the Siberian track and her beloved Polish suka appears on 11 tracks altogether. But each interpretation has its own distinct flavour and it’s a feast for the ears. The performances are exemplary and the instruments themselves are fascinating: the Armenian duduk (an oboe that sounds like a cross between a saxophone and a cello), the Tuvan doshpuluur (a trapezoidal plucked instrument), the Iranian kemanche (spike fiddle), the Polish hurdy-gurdy, the Balkan kaval (end-blown flute), the Iranian setar, the Bulgarian gadulka, the Slovakian koncovka (a shepherd’s duct-blown overtone fipple flute) . . . Such an array of sounds. Riff, daff, zarb, ney, saz, oud, shawm, sarangi, koto, cajon, tabla, morin-hur to name but a few, and all explained in the accompanying booklet. There are three special Polish instruments here too: the Miedzyleska Pipe is an experimental instrument made from a wooden tube; the Fiddle of Plock is a copy of a 16th C birchwood instrument uncovered by archaeologists; and the Suka of Bilgoraj - reconstructed on the basis of nothing more than an 1895 watercolour painting, carved out of a single piece of cherrywood and played using the lateral touch of a fingernail. "This is a great album. Impressive on so many levels." I didn’t know what to make of the album at first. 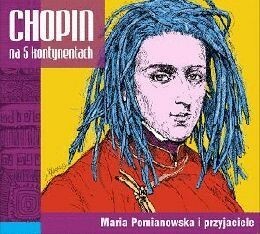 A Polish composer I knew nothing about, a brave (almost foolhardy) attempt to assemble a ridiculous amount of musicians and often obscure instruments from all over the world, before even mentioning arranging the music for them, and then to market it with a picture of Chopin sporting dreadlocks! Seriously! (I even met the girl who supplied the original locks whilst in Copenhagen last year!). And yet, this is a great album. Impressive on so many levels. Even if you don’t like (or don’t think you like) Classical music or Chopin in particular, this could just be the album that changes your mind. Hat’s off to Ms Pomianowska! "Hat’s off to Ms Pomianowska!" If you feel more comfortable with British Celtic folk-rock bands then you’ll feel immediately at home with globe-trotting Polish band Beltaine, who mix traditional Celtic tunes and instruments with a more modern sound and global instrumentation. 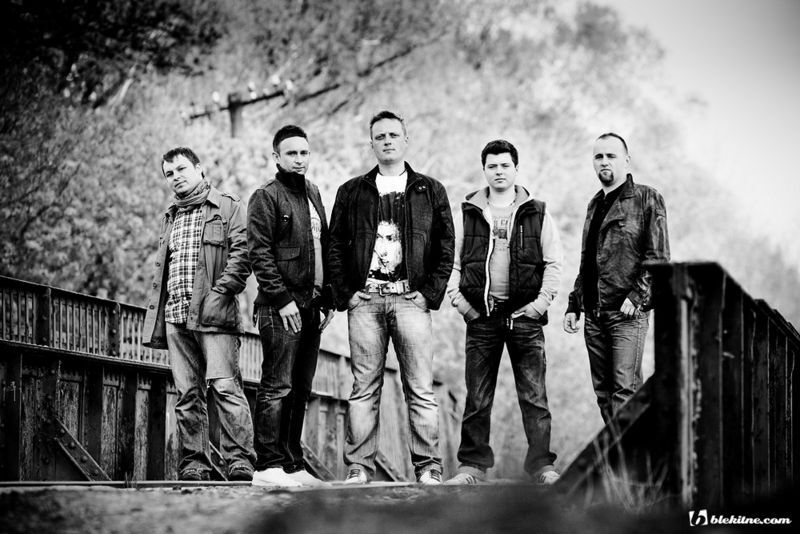 With a great reputation as a live band, Beltaine deliver high-octane performances and were nominated for the Top Celtic Rock Band in the the Irish Music Awards in 2010. This 17 track sampler is - as its name suggests - a glimpse into the contemporary state of Polish world music. It is full of surprising stuff! Two of the artists here I have covered already in separate (and highly complementary) reviews above: Mosaic and Maria Pomianowska. Highly regarded folk outfit Transkapela’s track “Joc Dans” is led by fiddle and a strange buzzing flute over drone guitar, bass drum and bell. Swoja Droga (translates as “His Way”) offer haunting jazzy contemporary folk (with very effective spooky bass clarinet) which contrasts with Lao Che’s folkpunk. Nina Stiller’s sophisticated dubby electro-folk mixes arthouse with lush balladry and Middle Eastern seasonings. The Village Kollektiv similarly mash-up jazz, dub and trance with folk whereas Trebunie Tutki (Poland’s oldest folk group) are a family coming from the Podhale mountain region; famed for their collaborations with the Jamaican Twinkle Brothers amongst others, here they perform a more typically East European piece using violin and cymbalom over a driving rhythm. The upclose voice of Maria Natanson over the dry chuk-chuk of a muted guitar leads us into the next artist: Caci Vorba are a Polish-Ukrainian band that serve up a delicious menu of “Roma Swing” from gypsy, Carpathian and Balkan sources recreating the craziness of a Balkan wedding on traditional instruments such as the Hungarian bracsa, the Turkish kemence, Greek bouzouki and Romanian cobza. Very good indeed! Bubliczki are another Polish folk band that look towards their surrounding cultures for extra inspiration bringing in gypsy, Balkan and klezmer influences to play in a very danceable mix with their Kashubian roots. Orkiestra Sw.Mikolaja (The St Nicholas Orchestra) have been going since 1988 and are often cited as repopularising Polish folk music at a time when it was neglected and considered an irrelevance. The seven musicians use a large array of instruments to create their original and meticulous compositions. The highly polished, immaculately produced music of singer/violinist Joanna Slowinska is very much at odds with the full-on hip-hop folkpunk of Masala. The dark, biometal neofolk sound of Pyschoteka mixes closely harmonised female vocals against some very dark swirling organ, pounding drums and heavy bass. Still in the heavily experimental, Gadajaca Tykwa’s track “Mantra” pits didgeridoo, khoomei throat singing and pulsating balafone against djembe drums, drones, bagpipe-sounding organ in a driving trance track (their name means “Talking Gourd). And then, joy of joys, hosannah to the highest, I’m in musical heaven! I can’t believe this: I’d been trying to find a certain track I heard a few years ago on YouTube with no luck whatsoever and then, out of nowhere, it turns up on a Polish compilation CD: Michał Czachowski’s Indialucia and the spinetingling combination of Spanish rumba flamenco with Indian sitar, tabla and syllabic percussion that is “Raag’n’Olé”. I cannot praise this tune highly enough. Even if it’s the only one they ever make, for me it will be sufficient to justify their existence. Speechless. Just listen. To finish this Polish sampler album, the ‘double duo’ quartet of the Lutoslawski Piano Duo and the Hob-Beats percussion duo come together to create the band Kwadrofonik. Their track on this compilation is “Obere-kuku” - which I can best attempt at describing as like a Philip Glass style piece of jazz minimalism. “he who does not get on the tram sports a moustache"
This is another sampler from the same people that put together the “Nu-PL” one above. Some of the artists are repeated here (with different tracks), but there are some more new ones to me. The Prusinowski Trio play typical village music in the style of the wandering musicians that were once common from Tadjikistan to Brittany, using violin, bass, small drum, shawm and flute; as opposed to Pablopavo i Ludziki, who is at the other end of the spectrum with a sound that is more urban and owes more to hip-hop and dub than folk. 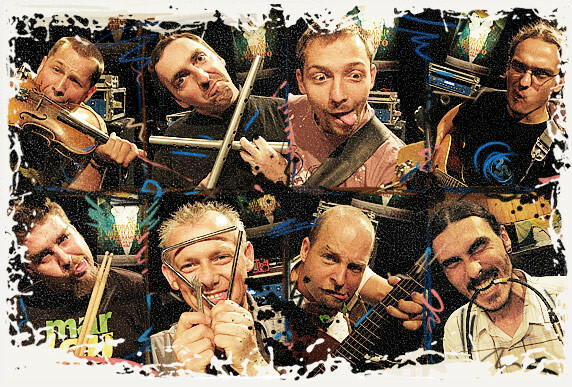 The Warsaw Village Band are probably the best known of the Polish bands on the world music scene, having successfully reinterpretated the music of the Central Mazovia region updating the sound whilst remaining faithful to the performance styles. Cukunft (Yiddish for ‘Future’) are a four-piece that perform and reinterpret pre-war Jewish music amidst their own spontaneous original compositions, for instance mixing rock’n’roll electric guitar with klezmer clarinets over dancehall reggae inspired percussion. Vavamuffin as the name implies is a Warsovan raggamuffin band with a crazy live reputation all over Europe. As their publicity has it Vavamuffin is a tram linking Warsaw with Kingston - “he who does not get on the tram sports a moustache”(!). Uh? What’s wrong with moustaches . . . Poland has many fine examples. Czessband are an acoustic band from Warsaw that mix up folk music from all over the world: Bohemian polka, Argentine tango, the drive of American bluegrass, Oriental themes, Balkan melodies, Hungarian stomp and Polish energy. Here they play an adrenaline-pumping czardas on some crazy instrumentation. The music of Roberto Delira & Kompany has been described in many ways: folkrock, heavy folk, burdonrick, dronpunk, psychofolk all of which hint at Robert Jarowski’s dark arrangements of Baltic folk performed on violins, baraban, hurdy-gurdies, hybrid experimental instruments and even his recreation of an archaeologically recovered find. The terenNowy Project is an open collective of musical artists who create spontaneous pieces, a sort of free music expression. And that’s about all I can comment on that one. Ritmodelia - “It’s Not Batucada!" "a wealth of ideas ... excellently and inventively played"
Polish percussion band, Ritmodelia’s debut album is an exploration of what the 10-piece outfit can achieve with nothing but a studio full of percussion and a pile of rhythms. Ironically, there are actually a couple of batucada-based tracks on here, but that’s not surprising as the group grew out of the fascination with Brazilian street samba of a number of Warsaw based percussionists. They soon found that creating their own rhythms and combinations was far more satisfying musically than slavishly copying batucada. There’s a wealth of ideas contained within this album and it’s excellently and inventively played by the percussionists; but I can’t help feeling that an entire album of it is a little much to sit down and listen to at home - and I say that as a percussionist myself (and long-standing sambista). Unless you’re actually performing the music yourself, or at least watching it unfold in a live situation, it can start to lose its hold on your concentration and imagination. The pieces are almost all played using combinations of Brazilian samba instruments (surdo, agogo, tamborim, chocalho, snare, repinique, cuica, reco-reco, whistle, etc, etc), admittedly with the addition of djembe, chekere, karignan and other assorted hand percussion. This lends each track a certain sameness of overall sound, even when the rhythms are distinct. After a few tracks my attention was starting to wander and I found myself wanting to hear something even more original in the sonic texture. But that’s just my opinion. As an introduction as to what these talented percussionists are capable of, and a calling card for their live shows, it’s a good album and well produced. But I’d just like to see them stretch their creative capabilities with far more variety on the next one. 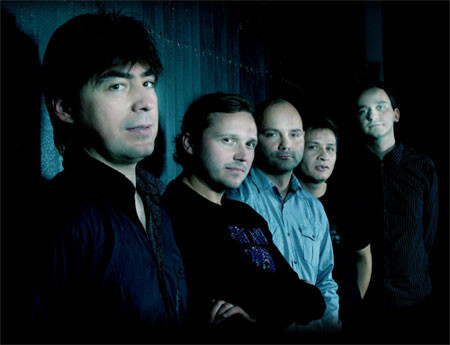 Their members have an enviable background in different percussive styles - afro-cuban, african, folk, rock, pop, reggae, jazz, classical, hip hop, dancehall, funk, soul - not to mention being integral members of some of Poland’s best young bands outside of Ritmodelia, so there’s no paucity of skill or inspiration amongst them. Come on guys, show us what you’re really capable of. As well as selling their album on a wide variety of sites (see link below for more details) they are also offering free samples from the tracks as ringtone downloads. Surprise your friends with a pocketful of rhythms! This festival held usually in August has a very international leaning. The sampler contains tracks from the Heptones (Jamaica), Russkaja (Austria/Russia), The Dhoad Gypsies of Rajasthan (India), Huun Huur Tu (Tuva), Mahala Rai Banda (Romania), Fanfara Kalashnikov (Germany), Mu (Portugal) and the Czech bands Gipsy.CZ and Al. Yaman; Polish bands represented include Mosaic, Beltaine, Bubliczki, Tolhake, Psio Crew, Kroke, Kwartet Jorgi and Papadram. For more info contact the link below. Finally, Warsaw is trying for European Capital of Culture 2016.